The sampling drum machine may have been born as hardware – as the Linn 9000 and MPC – but it’s looking perfectly at home on the iPad. And competition is heating up. In many ways, MPC/Linn-style workflows fit the touch tablet perfectly. They emphasize quick sampling and manipulation, with simple editing (in a minimum of taps). They keep sounds organized spatially – thank that 4×4 grid – rather than a complicated, mixer-style layout. Speed and immediacy win out, which is perfect for mobile. Mobile developer Retronyms is documenting progress as they go on the iMPC Pro for iPad, due out this summer. And whether they intended to or not, they make a great case for that app as a central hub for other fun soundmakers. Showing off (Apple) Inter-App Audio functionality, they show how easy it is to select an effect, then add it to a sample. The clarity of both the inter-app effect selection itself and the structure of the tool could make it a go-to hub on mobile. Sure, you could use a DAW, but for “let me muck with this sound” moments, an MPC seems more right, somehow. It isn’t enough to just put the name MPC on a product any more. We get it: grids of pads and Linn-style working are these days second-nature, available in countless tools. Instead, you have to differentiate on features and design. You have to built a better mouse trap, not just put “mouse trap” on the tin. We don’t know yet the full feature list of iMPC Pro. But there are some signs this second outing between Retronyms and Akai could be a winner. The best change is, they’re adding more functionality while making the UI clearer, simpler, and more touch-friendly. Gone are Retronym’s early skeuomorphic interfaces, which I found clumsy and confusing. iOS 7-style flattening isn’t the right solution for every job, but here, done right, it seems to make the app friendlier. One-button sidechain compression. (Well, I’m sure no one would abuse something like … heh, I’m not sure even I can be trusted with that.) And it has a duck, too. Oh. A duck. It took me way longer than it should have to get the joke. Program mode powers. 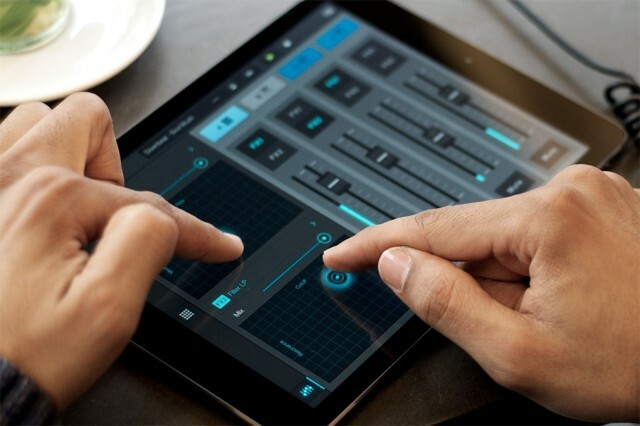 Real-time sound shaping – manipulated with touch on the pads, taking advantage of the touch UI. Envelopes and other controls. “Precision mode” for each knob (so you can fine-tune controls). Timeline editor, for sequencing. This is a particular one to watch, as this tends to be where iOS drum machines – even desktop drum machines – fall down. Here, there’s some very nice stuff. Mixer, with sends, built-in EQ and compression, automation. “Flux Link.” “Glitch and drop the beat.” Um… EwwwwDM. But maybe you’ll find a tasteful way to use it. I think most impressive is that the sum total of all of this is the promise to really do some serious composition around touch, without ever feeling like you’re using something designed for a desktop screen or hardware that was then re-mapped to a tablet. The iMPC Pro will face some rivals. 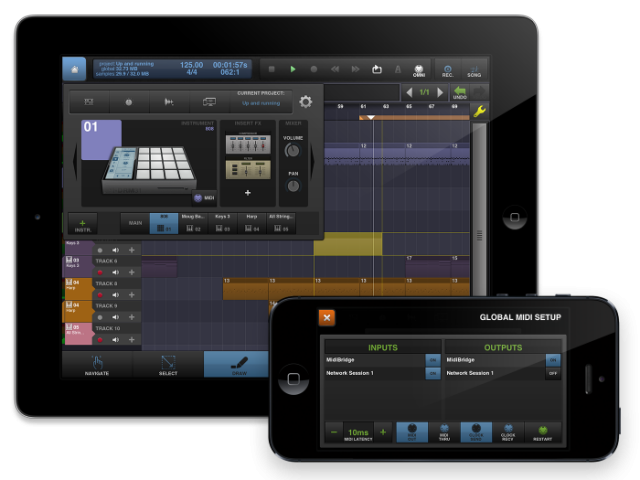 The most significant of these is Intua’s Beatmaker 2, which really pioneered the mobile drum machine category on iOS. In its current version, there’s very little Beatmaker doesn’t do. Time stretching? Got it. (If offline.) MIDI sync? Check. External hardware support – even for control? Yes, ma’am. Dig deeper, and Beatmaker 2 is really a DAW as much as anything. There’s full-blown multitrack functionality there and every workflow and interchange you could imagine. 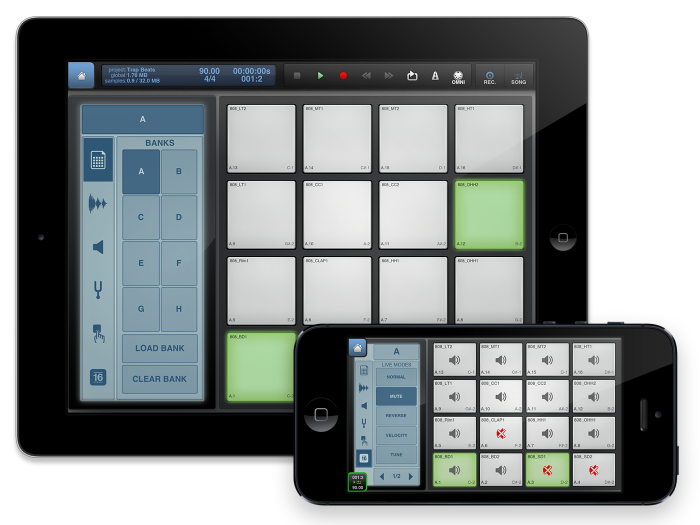 In fact, if anything, Beatmaker 2 might scare off some for doing too much – if what you want is just a mobile satellite for your desktop. But it remains to be seen whether iMPC Pro will have some of these features, and for some, that’ll be a deciding factor. 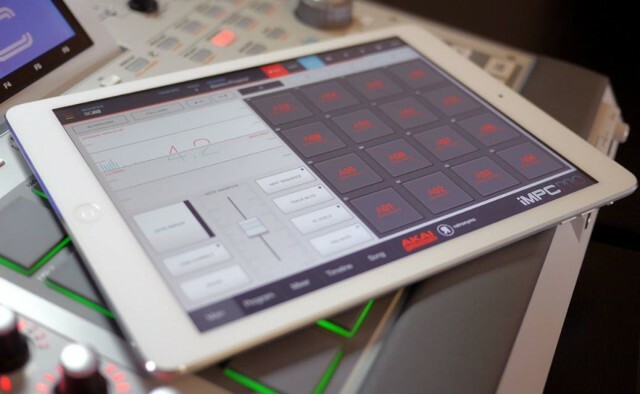 That said, the video above demonstrates what readers have been saying: inter-app features are essential to mobile drum machines, because they’re perfect for hosting neat effect apps or sampling from other apps. Doing that on a mobile device these days is almost as important as being able to use the mic. NI ought to be able to add that sort of support without interfering with iMaschine’s simplicity. If they don’t, they face being left behind. All this competition, though, should be healthy. And as for whether hardware drum machines need to sweat? Not yet, I think. Mobility is grand, and I can easily imagine using any of these apps to tap out some song sketches or patterns. But when given the choice, I imagine almost everyone will want physical hardware. So, back in the studio, your Maschine, MPC, SparkLE, Elektrons, and the like I suspect are all safe. Now, sure, you could plug a controller into the iPad. But by the time you’re doing that, you’ll have to consider whether you’d rather plug them into your computer – which, for the moment, still offers more power and storage and flexibility. For those who just can’t get enough drum machining, though, the ever-hotter iOS race is great news. And the could be the killer apps that make inter-app connectivity really come alive, by giving a logical place to grab samples and apply effects. That’s a boon to the whole ecosystem. 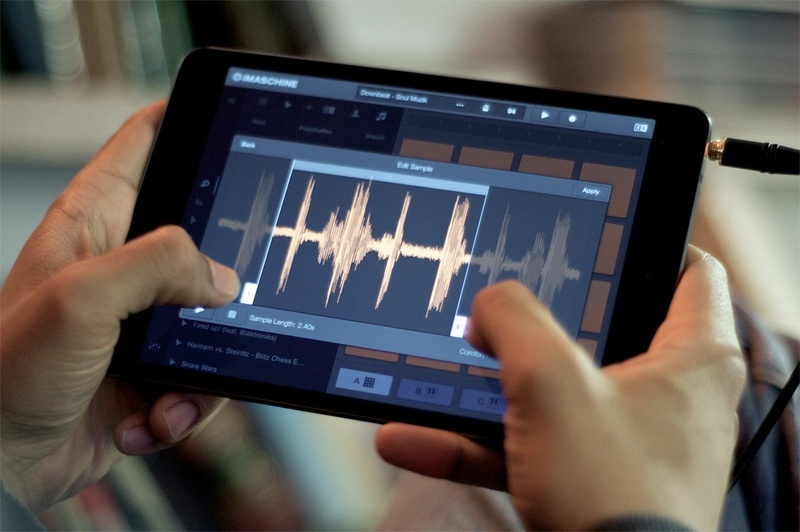 With Apple emphasizing just that kind of connectivity between apps and apps, as well as between mobile and desktop, and mobile and mobile, and wirelessly between hardware (including MIDI), the seamless software studio is looking like a nice place to be.